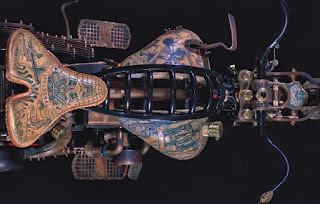 Tattooed human skin is common in the world of graphic arts. Currently, most of the motorcycle decorated in the style of tattoo motifs using airbrush paint, but what if the custom motorcycle laced with shades of the art of tattoo? 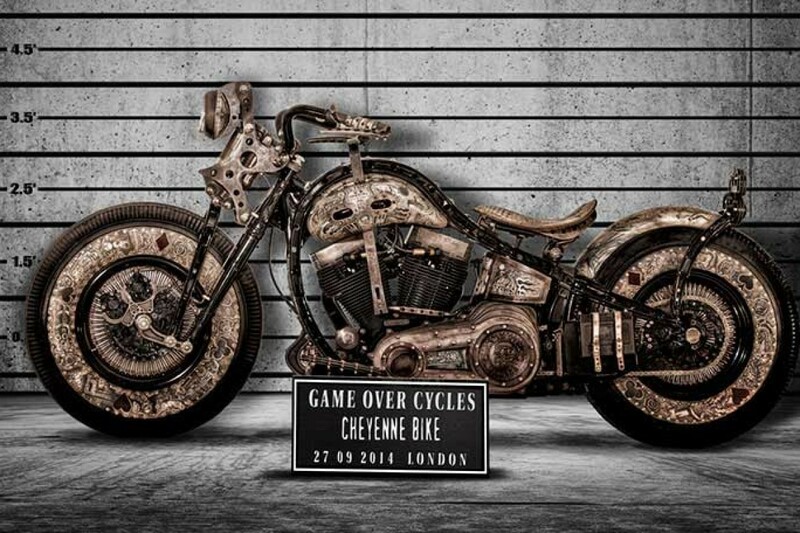 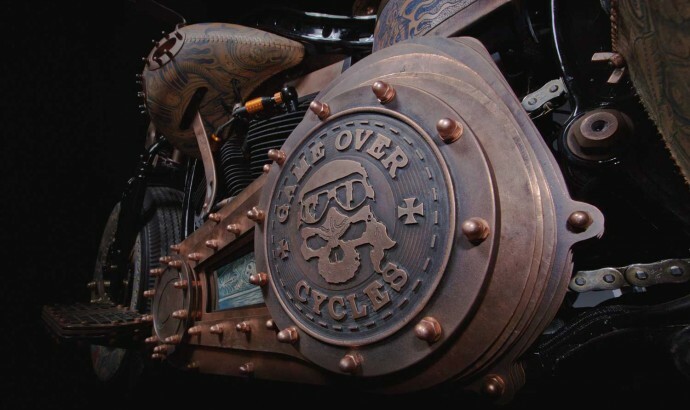 A Polish automotive modifier workshop called Game Over Cycles able to prove it by building a custom motorcycle named Cheyenne Bike 'The Recidivist,' where the whole frame and body covered with cowhide and then tattooed like a human skin. Built in collaboration with German company Cheyenne Professional Tattoo Equipment and Dutch Zodiac Performance Products for Harley-Davidson, the bike is both a tribute to motorcycle engineering and a work of art. This bike is built to take on the basis of a Harley-Davidson Heritage Softail. 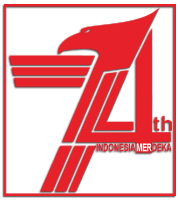 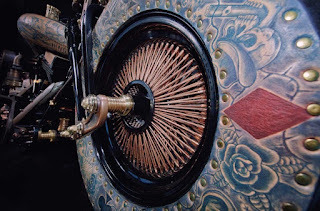 Its basic color tends to black directly polished evenly by the tattoo artits. Polish tattoo artists Tomasz Lech and Krzysztof Krolak have spent 250 hours to make the motorcycle full with tattoos, by using the equipments of renowned tattoo equipment dealer, named Cheyenne Professional Tattoo Equipment. 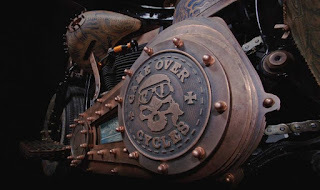 Together they managed to make the motorcycle 'tattooed' first in the world. This bike success tattooed because the parts to be stained with ink has been specially coated with cow skin-colored modified the technology so much like human skin. 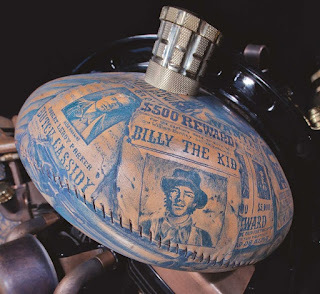 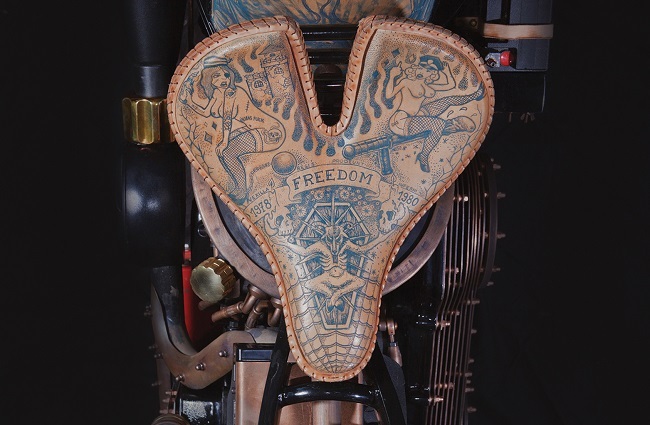 The Recidivist be so unique because of the tank, seat and rear fender is covered by a genuine leather filled with a variety of tattoo images. 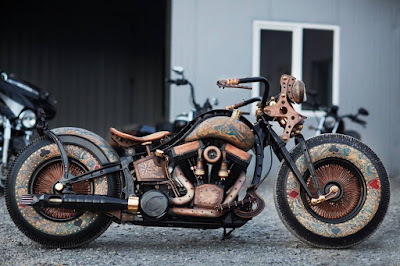 Because the builder want totally play artistry on the entire body of the motorcycle, then no exception from the front to rear wheels also wrapped in cowhide. 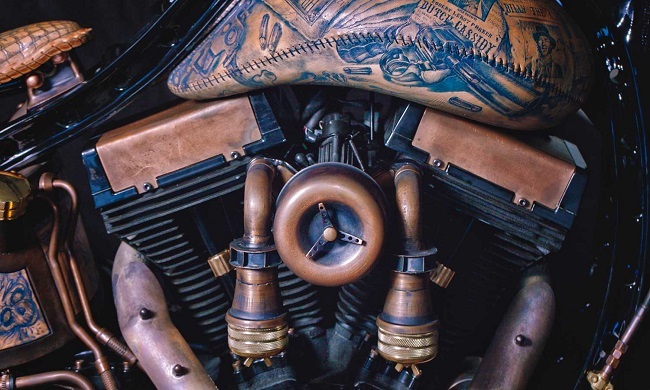 The retro design of the machine is an even more glorious, as the builders managed to integrate elements specific to the tattoo world and maintain their full functionality. The coil tattoo machine dampers of the springer fork and the custom exhaust which looks like a tattoo machine in action are only two of the most obvious such elements. 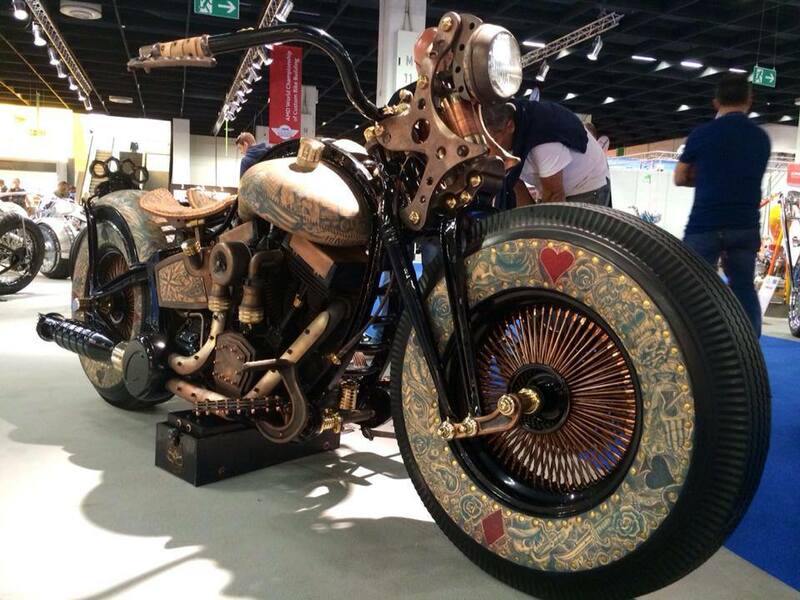 Thus, essentially as a custom motorcycle even more neat and harmonious.